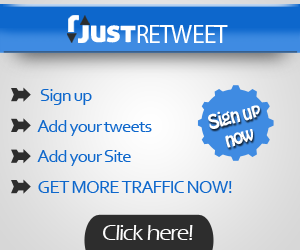 I’m happy to announce that JustRetweet is now back to normal (almost). Please note, applications found to be violating policy again are subject to permanent suspension. How did I get JustRetweet’s API access back? Well fortunately, the Twitter Platform Operations team was actually fairly responsive to my emails. After my first email reply, they told me that JustRetweet’s API key had been restricted due to violations of the Twitter Automation Rules. Automated Following & Unfollowing – following or unfollowing user accounts in a bulk or automated manner is not allowed. While JustRetweet never explicitly allowed bulk or automated following or unfollowing of users on the site, it was possible to manually follow hundreds of users from our Twitter Followers page to earn credits. We never had imposed any limits to following, so I can see how this functionality might be used for excessive following and trigger a flag with our usage of the API. I’ve never really considered the “follow for credits” aspect of JustRetweet to be a major feature of the site. It was just there from the beginning so I left it as is. To get JustRetweet reinstated, I took out the ability to follow users for credits on the site. You will notice that there is no longer any explicit follow button underneath any member’s avatar as there used to be, and I’ve also taken out the Twitter Followers tab. After making the changes and submitting my reconsideration request, I received a response 5 hours later stating that JustRetweet’s full API access had been reinstated. Thankfully, JustRetweet is basically back to normal now. Everyone should now be able to schedule tweets to earn credits again. Thanks to everyone for their patience over the past few days, while we worked to get everything sorted out. Congrats Chris! I heard about the outage over in my Facebook group so I will be sure to go back and let everyone know that all is well again. I agree that the following option was not a huge selling point and will barely be missed by most users. Thanks and hope you are having a wonderful summer. Ileane recently posted..TubeBuddy Review: Is it Really a YouTubers New Best Friend? Gautam Sehgal recently posted..Mobiles Under 5000 with Amazing Specifications!